Apart from Magnetar; there exists another most dangerous object in the Universe. It can be said to be a whirlpool in the space-time continuum. This is the true hell which resides in the heart of every galaxy. These objects are called as “Black holes”. Black hole is the most violent place than anywhere else in the Universe. A black hole is the region in space whose gravity is so immense that nothing could escape from it, not even light. Anything that comes in a close contact with a black hole will be drifted towards its centre by the immense tidal force of gravity. For analogy, think a man is swimming in a river and there is a giant whirlpool in front of him; so, when the man will come in vicinity (affecting zone) of the whirlpool then, the man will be drifted towards its centre. That’s how a black hole works but, it’s much more dangerous that a mere whirlpool. A black hole is a point of no return, i.e., once anything goes inside it then it’s gone forever. 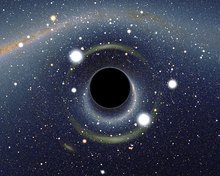 Practically, we can’t see a black hole because it is black and light could escape from it. Then, how scientist even knows that there is a black hole? Well, a single isolated black hole can’t be noticed but, what scientist observes is the matter around the black hole which swirls around the black hole and emerges into it. If a person will approach a black hole then, there is no doubt that he is going to die but the death will be quite horrifying as well because the black hole doesn’t simply pull the material inside rather, it stretches and twist the matter and it will be elongated/stretched and will revolve around the black hole slowly going inside it. Black holes literally can take anything inside them starting from a dust particle to a star and there are billions of black holes in our universe. But, black holes are not like an “always hungry giant” in fact, they only eat anything that lies in their close vicinity and anything out of the range can happily revolve around it for lifetime. How a black hole is created? 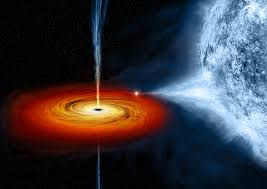 As discussed earlier in Part-1 (Magnetars); Black holes are formed when a star approximately 25 to 40 times more massive than sun dies in an event called “Supernova”. This type of supernova is also called a “Hyper nova”. 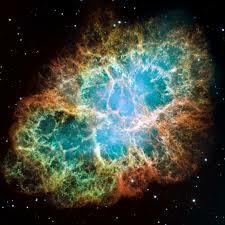 A hyper nova explosion sends out extremely huge amount of energy outside so, anything in its vicinity get destroyed. Then, the remnants of the explosion fall into the newly formed black hole. Black holes have extremely high gravitational force and objects revolve around it (just like the planets around the sun) but, the objects present too close to a black hole get sucked into it. The “too close” distance for any object to get sucked in by a black hole is the distance between sun and earth. Though black holes are the most violent place in the universe but they are of two types in general. Stellar black holes are 5 to 30 times massive than our sun whereas, a Super massive black hole is millions to billions times more massive than our sun. The tidal forces are very violent and unstable for a stellar black hole. So, if anyone dares to go near it then the tidal forces will tear him/her apart well outside the event horizon. But, In case of mammoth sized black holes the case is somewhat different because of its large size. There are millions of stellar black holes in our own galaxy but, the super massive black holes are the power house for the galaxies and thus present in the centre of galaxies. Also because of the fact that they are the most massive object in the whole galaxy hence, they present at the centre. The hells in the heaven are not just end at Black holes but, there are other violent forms of black holes which makes these hells more devilish. We will explore them in our next parts, which will be uploaded soon. Stay curious and stay tuned.